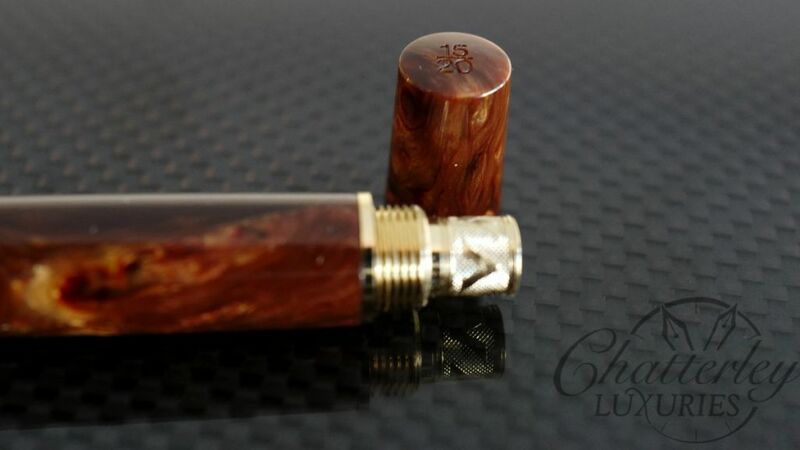 This pen is based off of the Ragtime Fountain Pen. 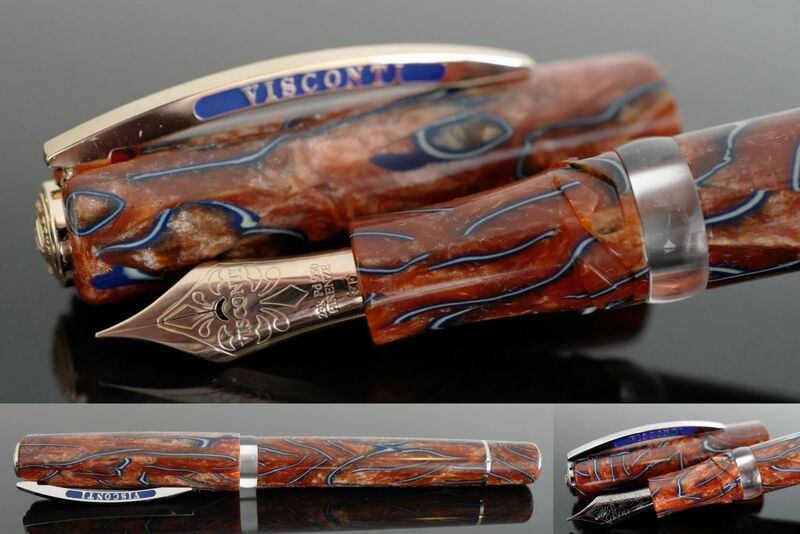 Its made from true celluloid made popular by Visconti with the Divine Proportions. 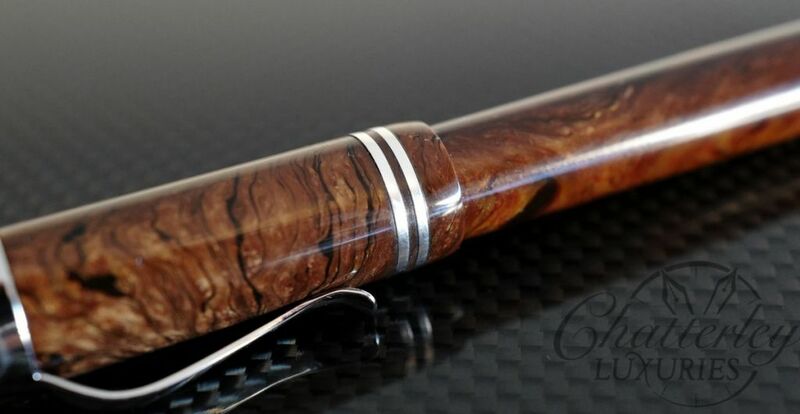 The celluloid is a burlwood style celluloid in brown with black veins throughout. It has amazing variation and depth. 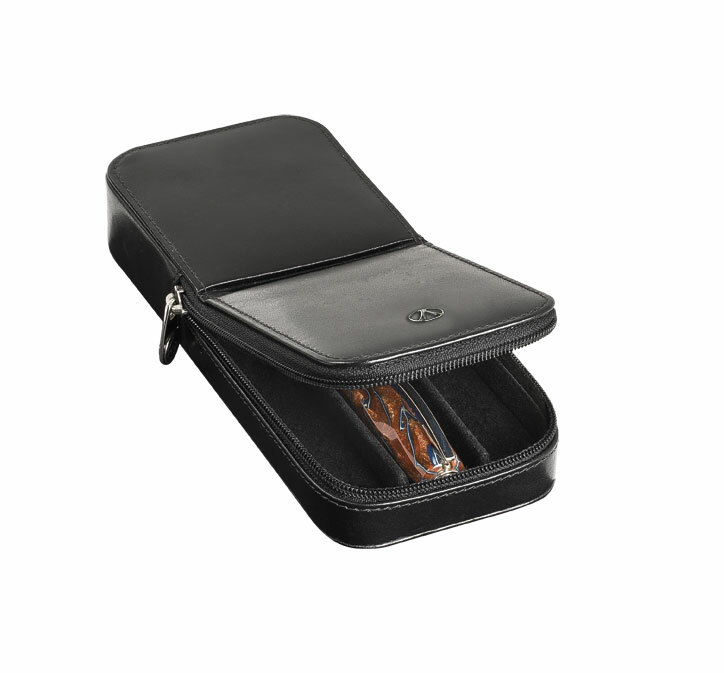 Celluloid has become a rare commodity. 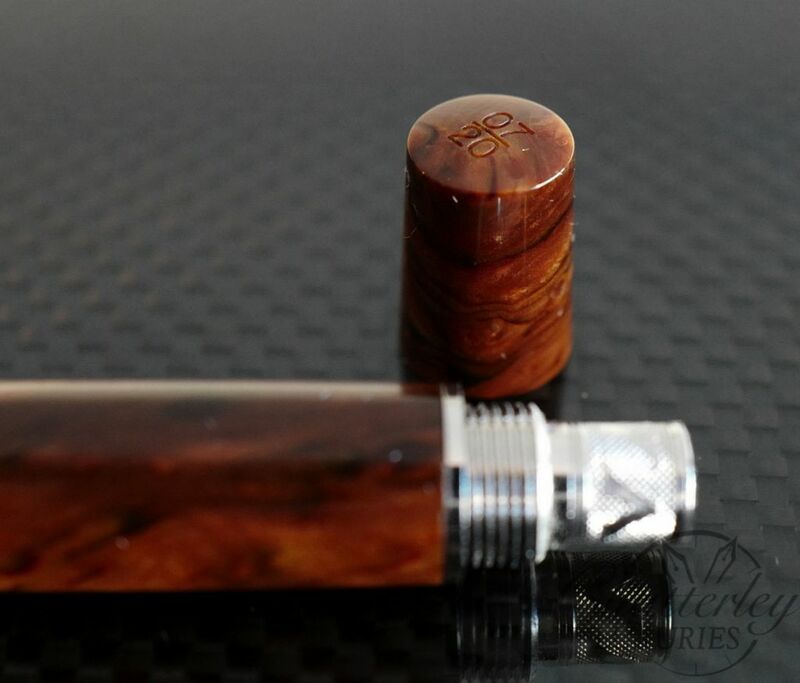 Almost no new celluloid is being made anymore because the minimums, cost and time to cure it makes it almost impossible to create new designs. 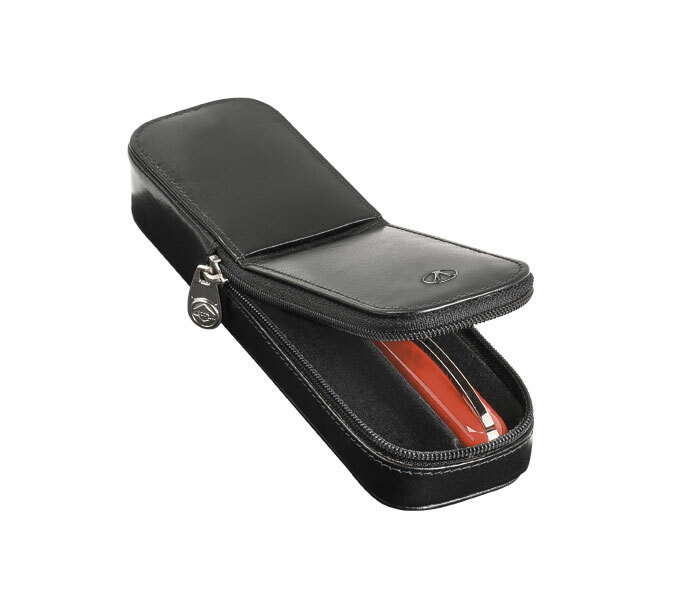 This pen comes with Rhodium (Silver) trim. The 2 bands on the cap are solid white gold. The nib is the 23k Palladium nib, and comes in either Medium or Broad widths. The filling system on all the ragtimes has always been a captive converter. 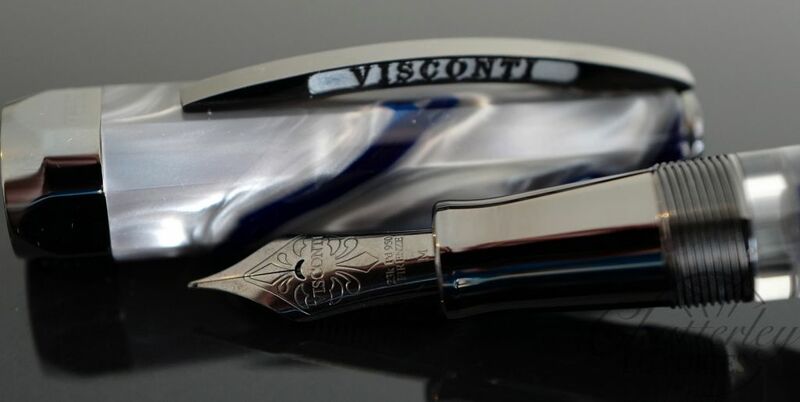 Visconti calls it a piston, but its a captive converter which is both reliable and easily repairable if ever needed in the future. 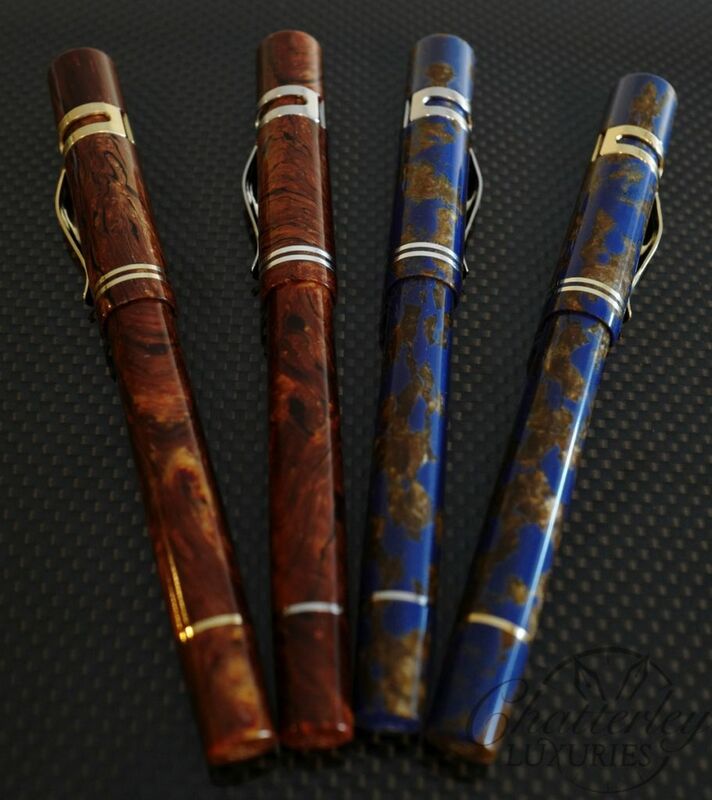 Limited and numbered to only 20 pens worldwide.